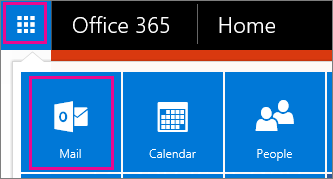 How can I turn off "Clutter" in my email box? UPDATE: Microsoft will be discontinuing the "Clutter" service soon and replacing it with "Focus Inbox." No action will be required for users when that change occurs. The "Clutter" Folder will disappear on its own. Until that time see below. 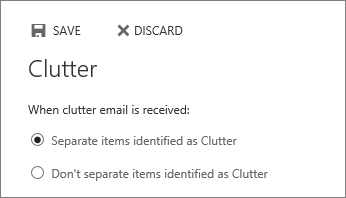 In Outlook 2016, right-click the Clutter folder and the choose Manage Clutter. It will take you directly to the Clutter options page. Unselect Separate items identified as clutter > Save . Or, if your page looks like the one below, choose Don't separate items identified as Clutter. In the upper-left corner of the page, choose App launcher > Mail.